They take this to mean that Jesus’ Kingdom has no earthly manifestation. In other words, that until His physical return, His kingdom remains exclusively spiritual and therefore invisible. The unavoidable implication of this is that the believer should not expect the advance or expansion of Jesus’ kingdom to impact the natural world—including our physical bodies, nature, or earthly institutions. Consistent with this view, many believers gauge the expansion of His kingdom by one measure alone . . . souls saved. But is this an accurate understanding of Jesus’ words to Pilate? I don’t think so. Understanding the words, “My kingdom is not of this world,” hinges on the meaning of the word “of.” I’m convinced that Jesus was saying that His kingdom’s legitimacy and validity did not derive from any earthly source. Rather, the authority and legitimacy of His rule was (and is) rooted in Heaven—a much higher source. Consider the context. 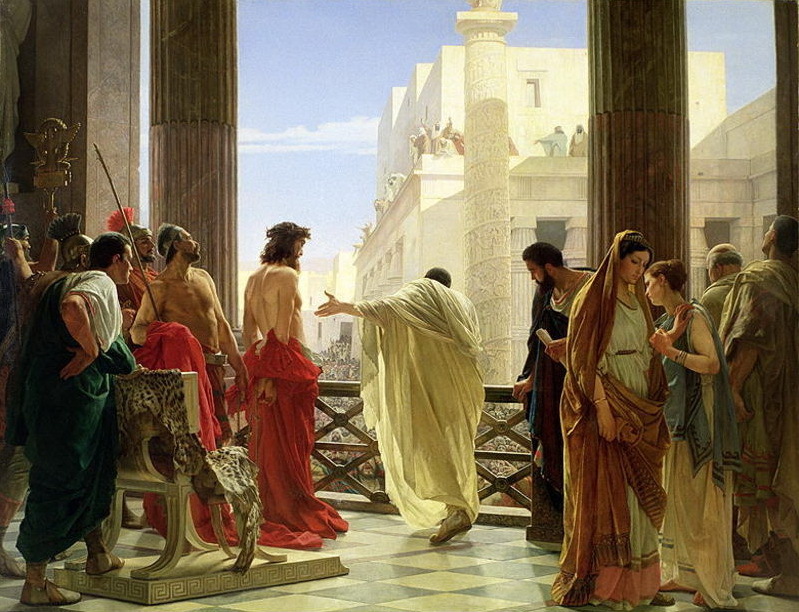 Jesus is being questioned by an earthly ruler, Pontius Pilate. Pilate was the ruler of the prefect of Judea because the Roman Emperor Tiberius designated it so. Pilate’s authority and legitimacy was rooted in the earthly power of the Roman Emperor and the Roman Senate. In other words, Pilate’s kingdom was of Rome. Perhaps the Jewish people took a vote. Maybe the Sanhedrin had convened a secret council and determined that Jesus was indeed the rightful heir to David’s throne. Maybe an enemy foreign government was trying to destabilize the eastern edge of the Roman Empire by installing a rival ruler. Nothing in Jesus’ response should keep us from expecting that the expansion of His rule—seeing His will be done on earth as it is in Heaven—will impact the physical realm here and now. That physical realm includes your physical body; your family and home; your neighborhood, community, and the entire culture. But we don’t see these impacts if we don’t believe they are legitimate. In the light of all this, it’s not surprising that an era in which the dominant evangelical theology has marginalized the concept of Jesus’ kingdom to being wholly invisible and largely in the future . . . is the very era in which the earthly institutions such as the arts, academia, the sciences, and government have been overtaken by darkness and godlessness. The kingdom of Jesus is a present and progressively unfolding reality. No, it is not of this world, but it is very much in it.